The Isle of Eigg is the second largest island of a small archipelago of islands, The Small Isles, in the Inner Hebrides. It is approximately 31km2, composed mainly of terraced basaltic lava and intrusive dykes, with Jurassic sandstones, shales and limestones along the North coast. These sedimentary rocks formed from a subtropical lagoon present over 168 million years ago and contain some important fossilized remains, most notably of marine turtles, crocodiles and plesiosaurs. 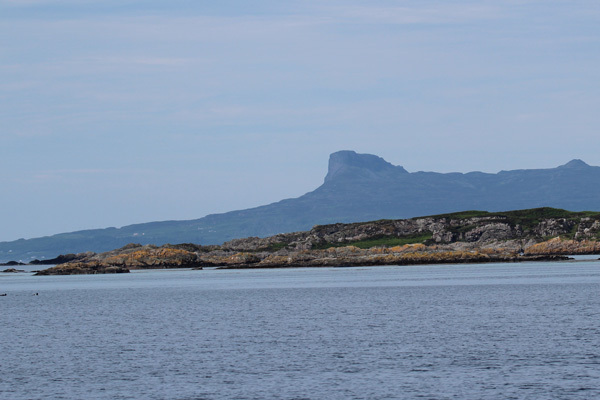 The impressive pitchstone ridge of the Sgurr of Eigg, a dramatic remnant of the last volcanic eruption on the island, sits in a basaltic valley underpinned by these Jurassic sedimentary rocks. Raised beaches, dramatic landslides and scoured rocks bear witness to the sculpturing effect of the last Ice Age. There are some lovely sandy bays in the north west of the island, most notably The Singing Sands at Camas Sgiotaig and Laig Bay, with its dramatics dyke intruded sandstones and limestones. There are also some interesting cave formation on the south coast cut into the Tertiary basalts, including the large high roofed Cathedral Cave, formerly used for church services, and the infamous Massacre Cave, where over 390 inhabitants were murdered by the Clan MacLeods as part of an ongoing feud between the latter and the MacDonalds. The landscape is dominated by The Sgurr, the top of which affords fantastic views of the Small Isles and the mountains of Lochaber. Habitat types of the island include unimproved rough pasture, coniferous plantation, deciduous woodland, moorland, raised bog and willow and hazel scrub, as well as an extensive coastaline. There are three nature reserves on the island (SSSIs), encompassing the impressive ridge of ‘an Sgurr’ with its distinctive columnar joints and associated moorland, an area of raised bog in Lower Charadil, and the hazel scrub associated with basaltic cliffs and plateau of Beinne Bhuidea. 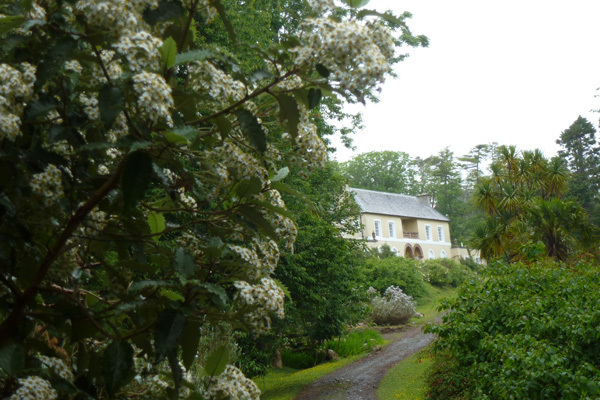 There is also a central belt of coniferous plantation centred around Glac an Dorchadais, and a lovely area of deciduous woodland near Glasmisadale Bay. This area of mixed woodland consist of alder, willow, hazel, oak, beech, ash, rowan, field maple, sycamore and elm, and supports a rich ground flora, resplendent in Spring and early Summer. The Lodge Gardens also support a diverse collection of horticultural specimens. 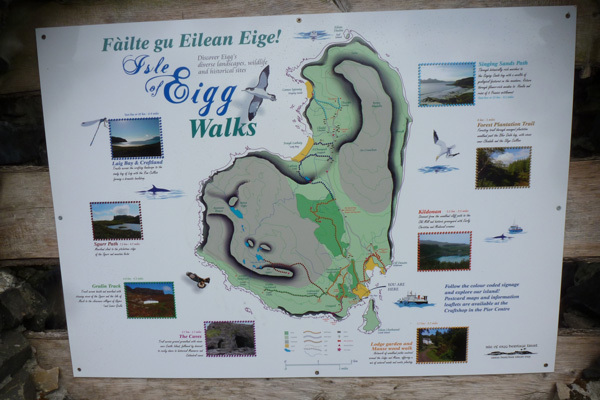 There are just under 200 of resident and migrant bird species recorded for the island, of which approximately 70 species breed on Eigg, including golden eagle, raven, hen harrier, snipe, ringed plover, black guillemot, Manx shearwater, eider duck and red-throated diver, as well as a large breeding colony of gannets. Willow warblers are characteristic of the woodlands, meadow pipits, twite, stone chat, whinchat, cuckoos and hen harriers are found in open country and moorland, and sedge warblers in the reedbeds. Winter vistors include snow bunting brambling, redwing, fieldfare, jack snipe, woodcock as well as, great northern divers. Nine dragonfly and damselfly species have been recorded on the island, with Blar Dubh and The Giant’s Footsteps lochan providing good dragonfly stalking opportunities. Look out for basking sharks and for minke whale, dolphins and other cetaceans in surrounding waters, and otters along the coastline. The island supports a diverse flora, with twelve species of orchid recorded on the island, including Frog orchid (Coeloglossum viride) and Greater butterfly orchid (Platanthera chlorantha), as well as the ubiquitous Heath spotted orchid (Dactylorhiza maculata) and Fragrant orchid (Gymnadenia conopsea). Arctic- alpine species include mountain avens (Dryas octopetala), saxifrages (e.g. Saxifraga oppositifolia and the protected Arctic sandwort (Arenaria norvegica). There are also over 300 species of bryophytes, of which 20 are of national importance. The islands also has a rich archaeological and cultural heritage, afforded by over 8000 years of occupation, as evidenced by the remains of graves, burial mounds, Iron Age duns, Bronze Age metal workings, ancient forts, Christian crosses and shielings, as well as a more recent 18 century water mill, an ‘ Italianate’ Lodge, a B- listed farmhouse and a Gothic style church. 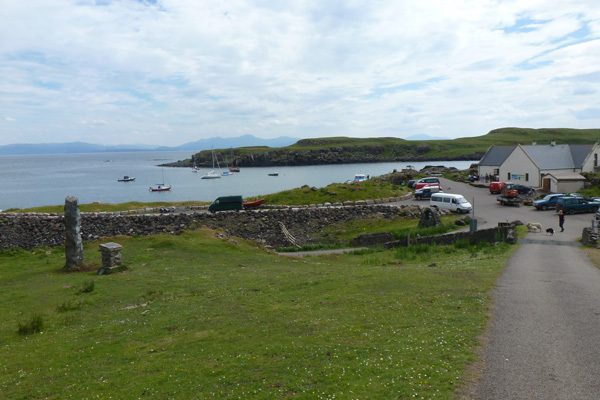 There is a café, craft shop, information centre and bike hire and interpretation boards by the ferry terminal and a minibus service to the north if the island. 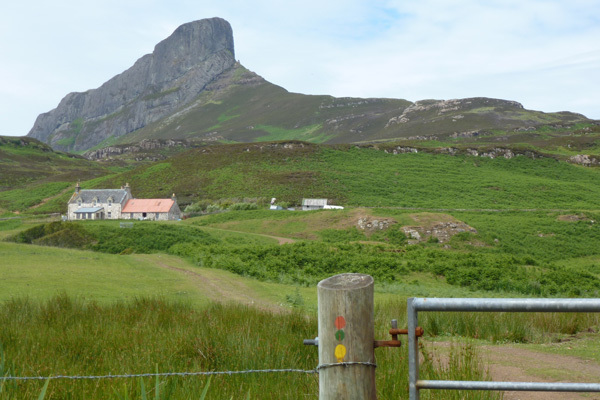 There is a restaurant in Cleadale, the main settlement on the north of the island, as well as a crofting museum and crofting trail, run by the Eigg History Society. Walking, wildlife, cycling, boat trips and ranger guided tours. Please see wildlife experience page for details. By passenger boat from Arisaig (Arisaig Marine Ltd) or the taking the Calmac ferry from Mallaig.